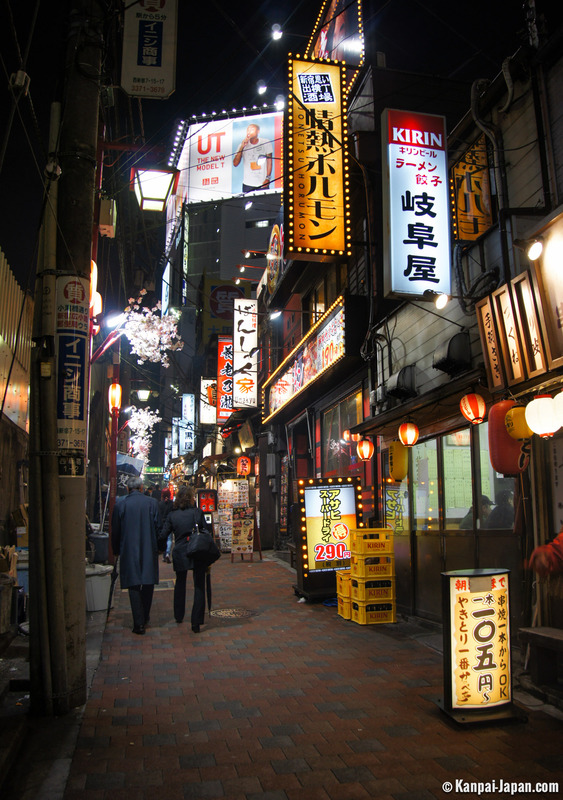 Omoide Yokocho is a group of streets housing many small and typical Japanese restaurants called izakaya, located at the Shinjuku Station exit in Tokyo. 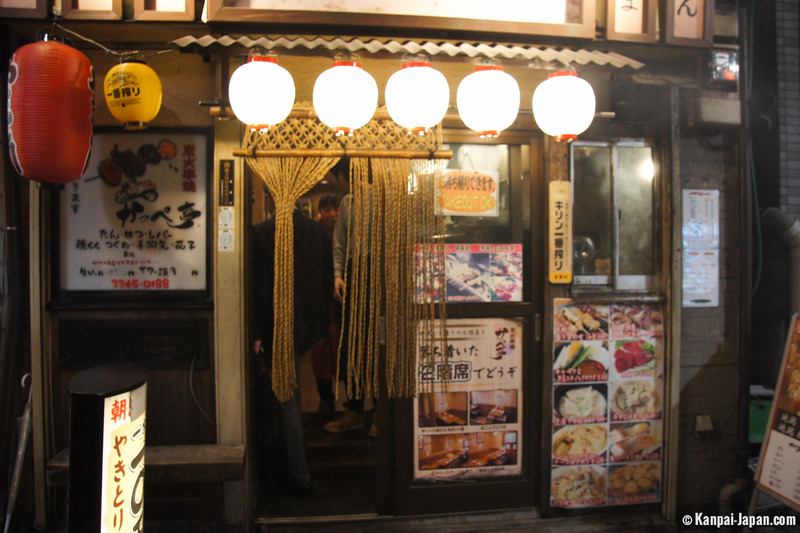 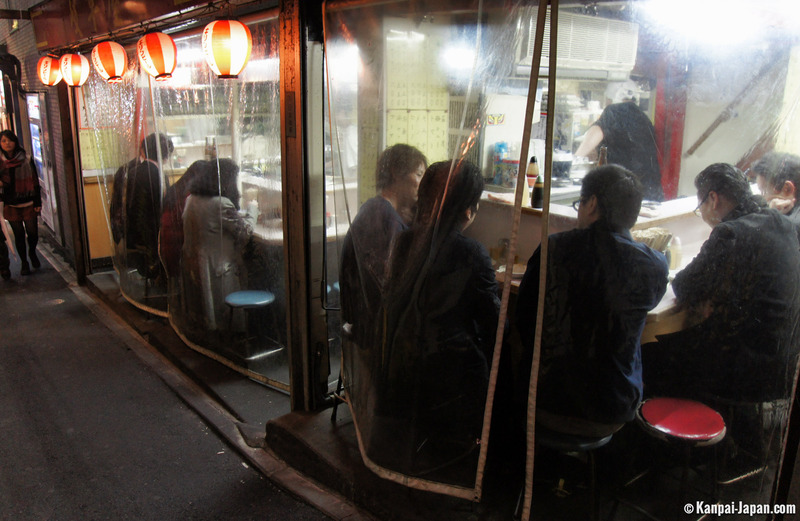 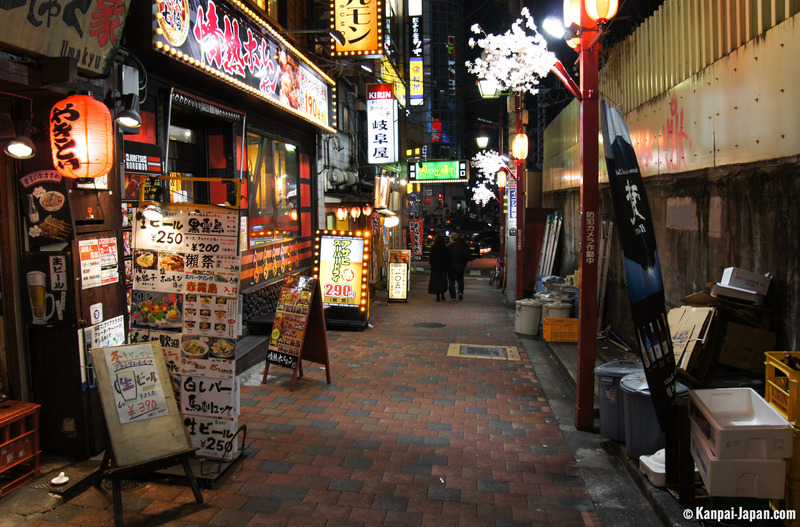 This walking area is ideal for tasting grilled-meat skewers, yakitori, in a popular atmosphere and at a low cost. 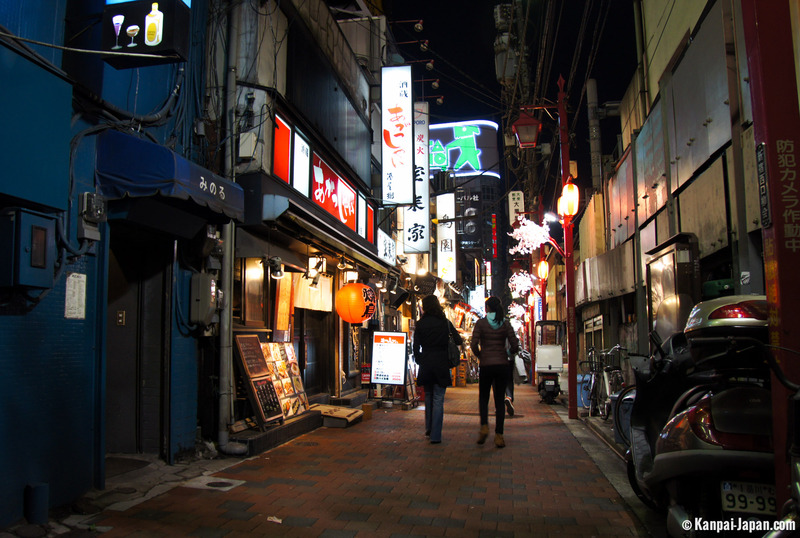 Almost on the opposite side of Shinjuku, Golden Gai can be found, which is another hot spot of nocturnal parties in the area. 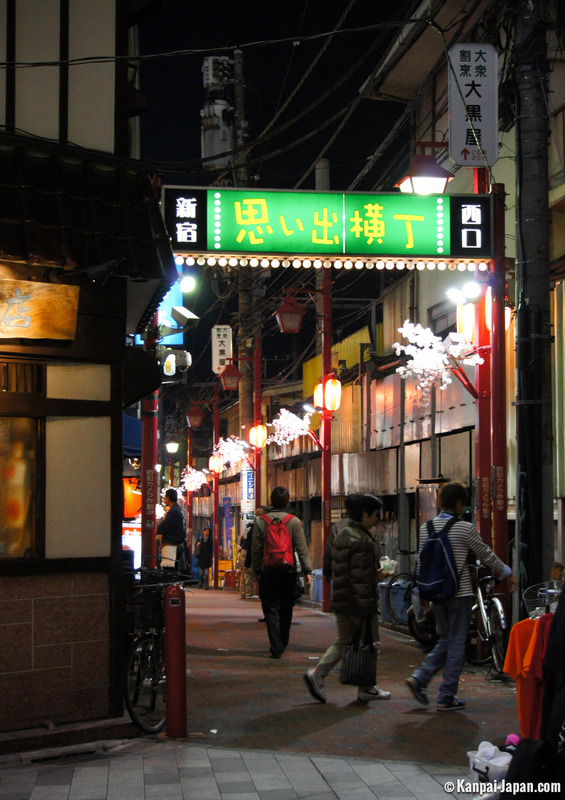 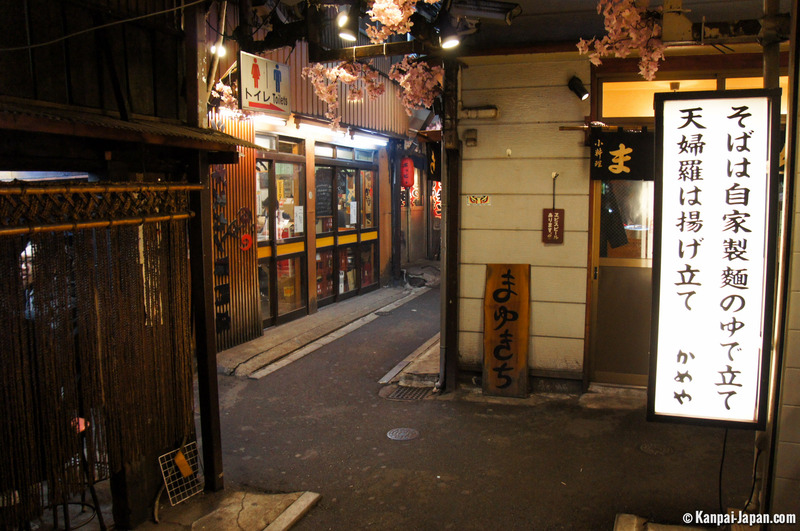 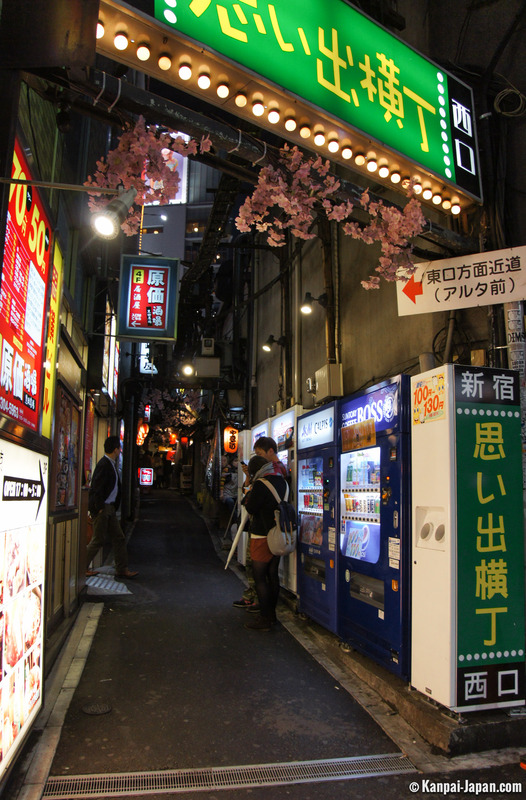 Although the official name is quite romantic (it literally means "Memory Lane") behind it are hidden other disreputable streets such as gokiburi yokochô ("cockroach alley") or shôben yokochô ("piss alley" – classy). 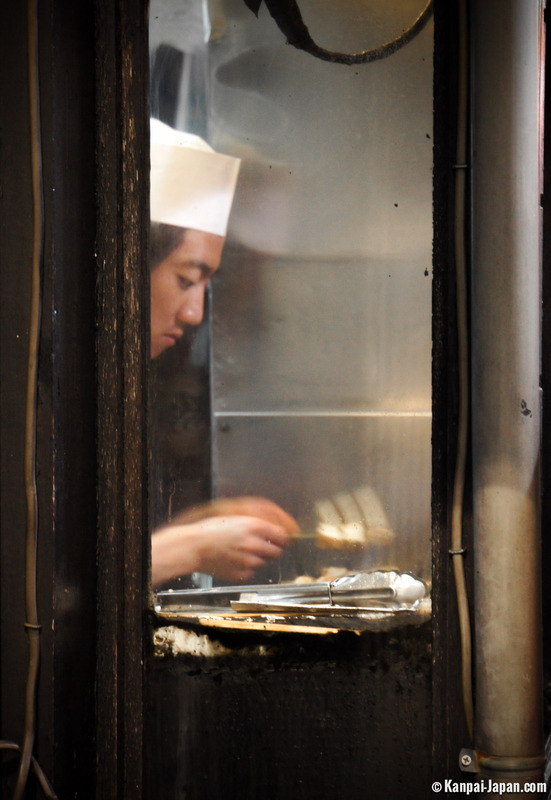 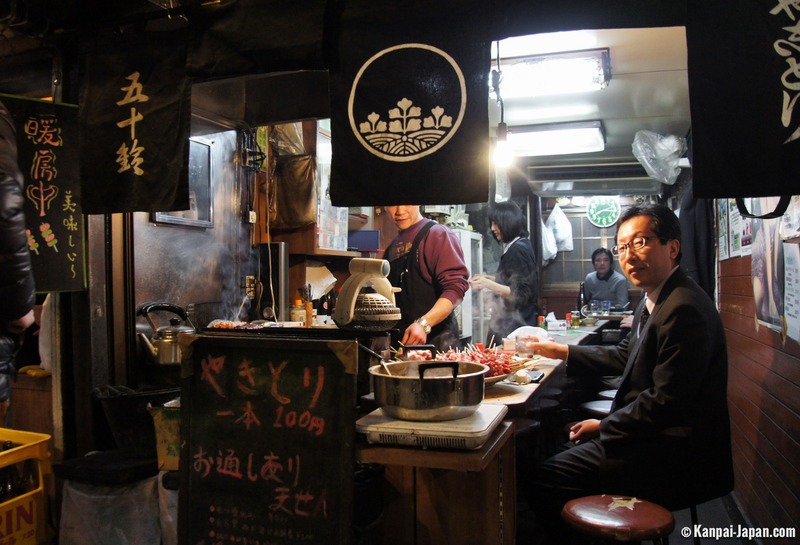 Only a few meters on the west side of the Yamanote Line, below the street, tiny alleys of Omoide Yokocho have offered, since the 1960s, a maze of dozens of tiny food stands. 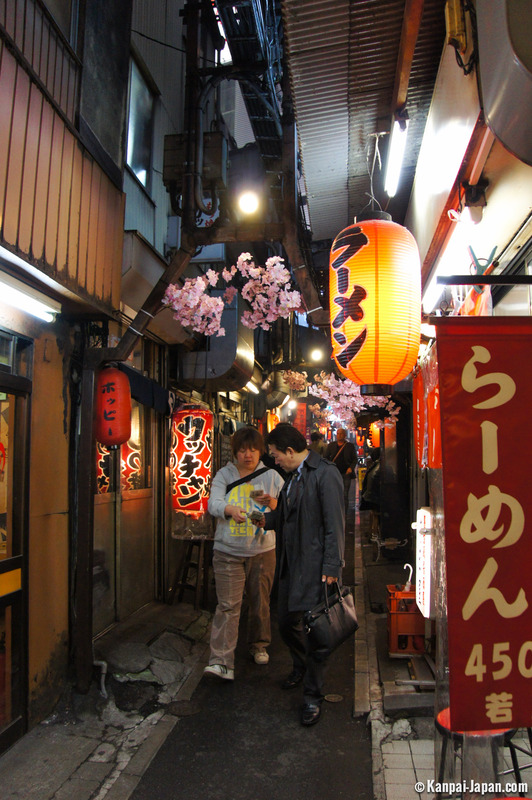 People come here for a few minutes or a few hours, depending on the amount of drinks and small plates of Japanese food they order. 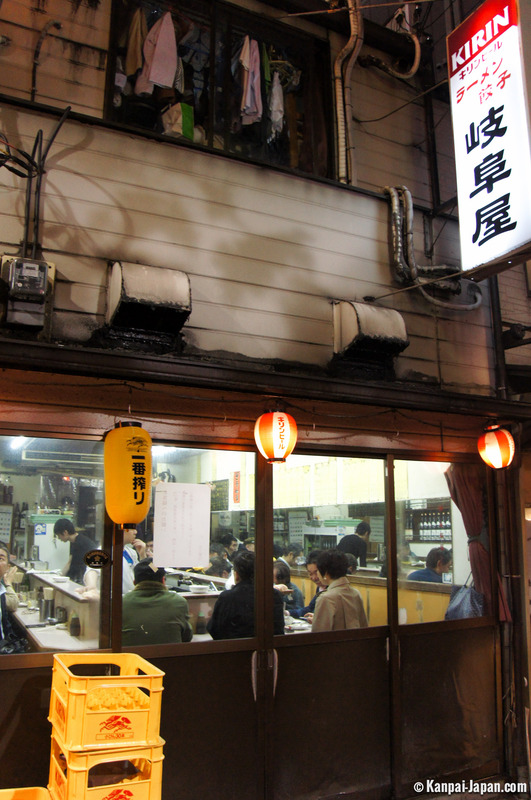 Most of these bars and restaurants serve yakitori/kushiyaki, yakiniku or ramen and soba, but they also offer sushi. 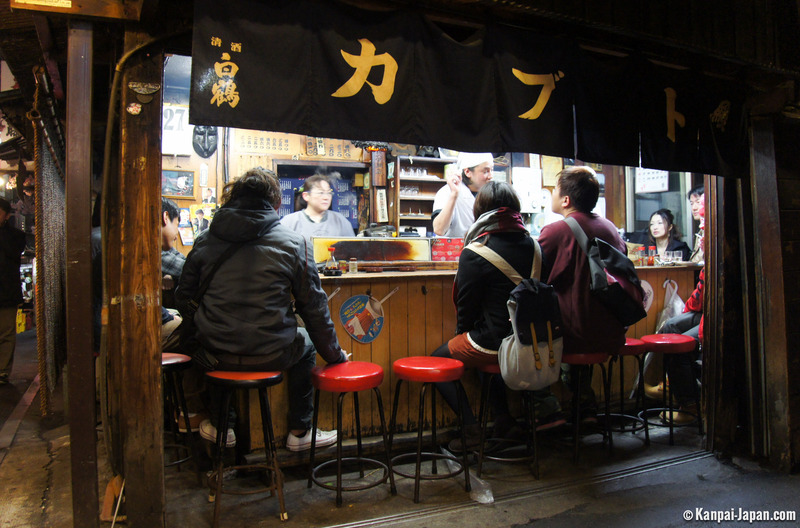 Usually, these small establishments offer a few bar chairs in front of the counter, yet some welcome clients around tables. 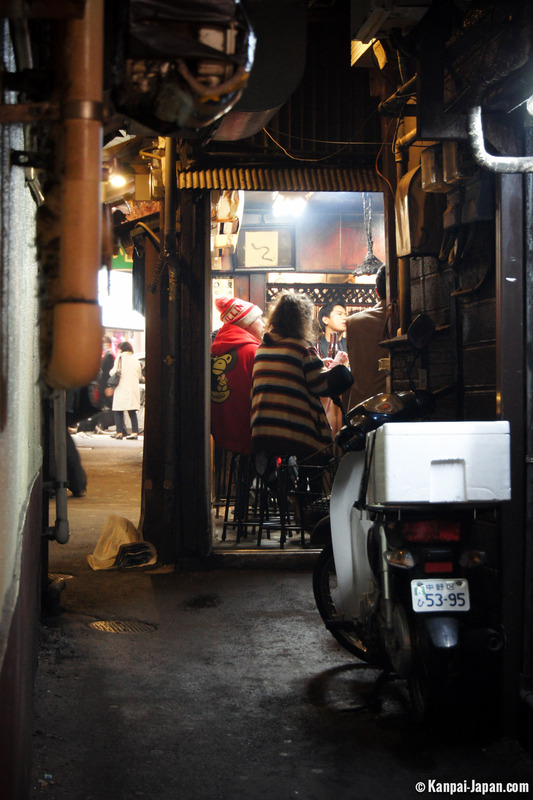 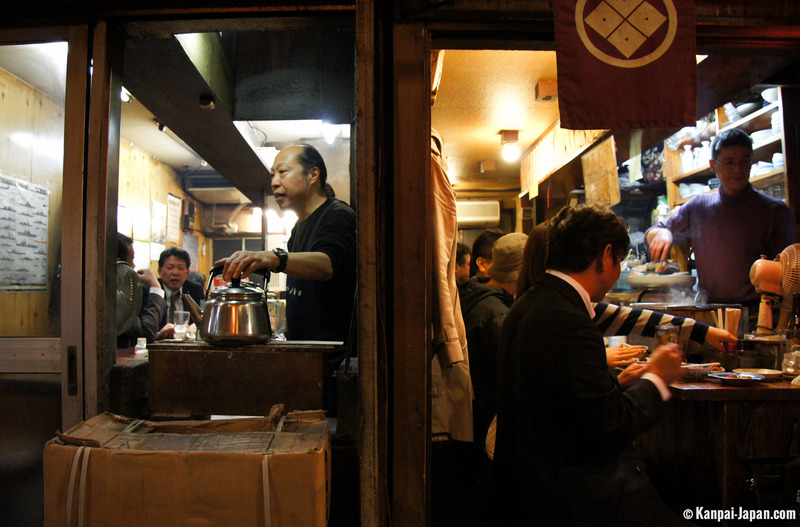 Omoide Yokocho seems less exclusive than Golden Gai: its appearance suggests a more open-minded atmosphere. 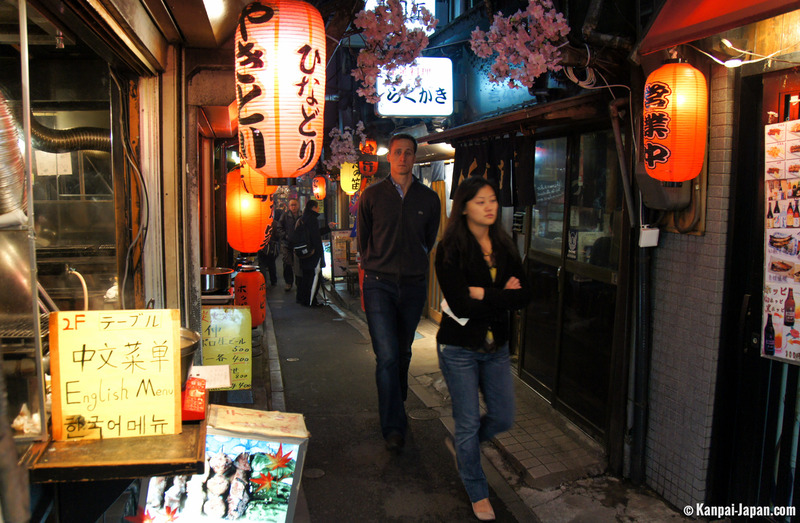 Yet some curious looks, sometimes toward gaijin, can be felt (even though this is decreasing due to the increase of Western tourists). 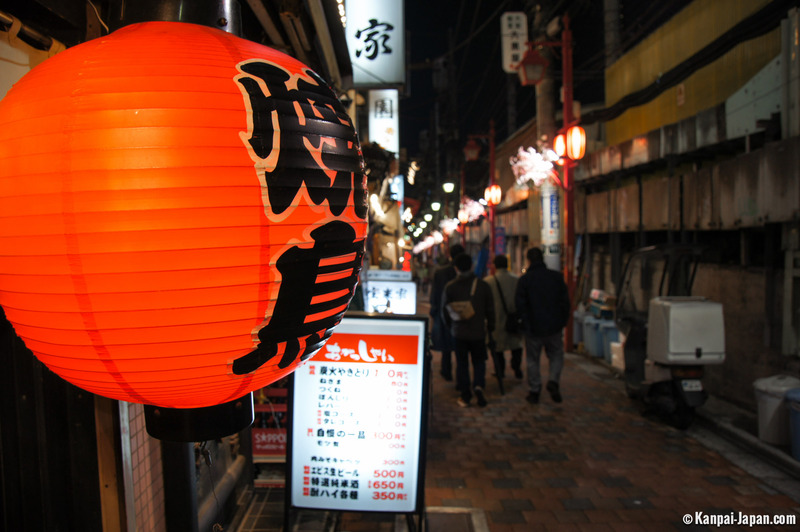 Do not hesitate to speak some words of Japanese to break the ice and discover the unique ambience of this shitamachi.